RECAP: I (Jo) am currently on vacation in Seattle! I thought it might be fun to try and keep a little holiday diary of sorts, a travelog if you will. Need a refresher? You can read about Day 1 here Day 2 here Days 3/4/5 here and Day 6 here! So sit back and grab a cup of coffee, She and Hem is going Stateside. After getting back from Redmond on Sunday, we decided to use a couple more of our City Pass vouchers and visit two of the museums that are based at the Seattle Centre. First up was the Pacific Science Center, which is (you guessed it) a Science museum! It’s a super interactive (aka fun) museum, with a beautiful outside space filled with fountains and water-based Science action! A lot of the exhibits are designed to teach children but we weren’t the only adults to be found playing (and learning!) around the museum. There is yet more fun to be found inside with a dinosaur exhibit, Imax theater and a laser dome, just to name a few! 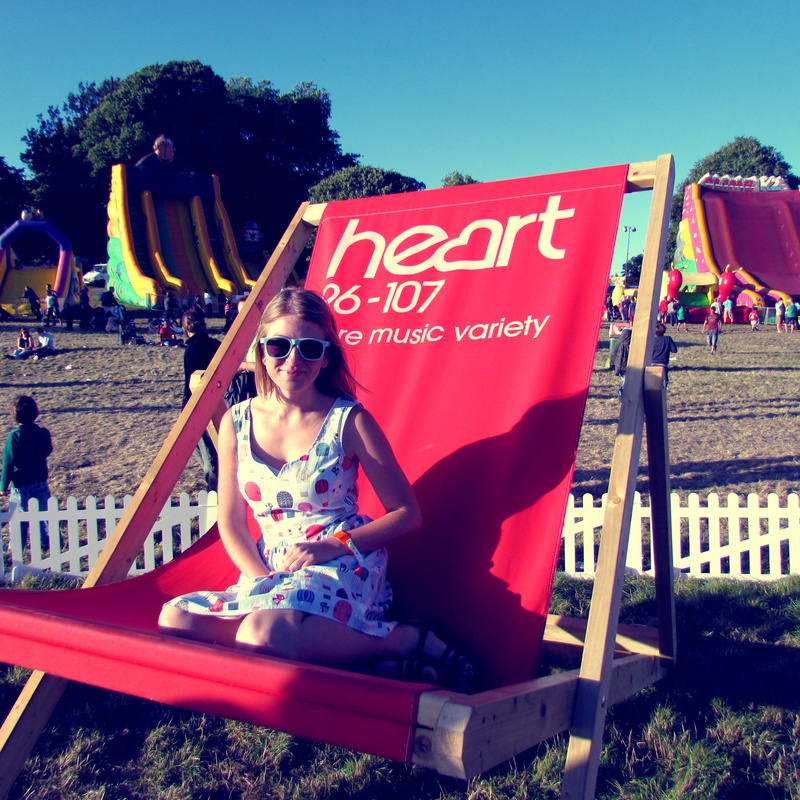 Rather bizarrely, Victoria and I both managed to sit on giant novelty chairs on Sunday, despite being on opposite sides of the world. We often joke about the weird similarities in our lives but I think this one takes the biscuit! Outfit wise, the dress is Cath Kidston, the satchel is Zatchels and the shoes (I’ve nearly worn them out now) are Topshop. My personal favourite part of the museum was the Tropical Butterfly House! It was so wonderful to be able to stand and watch so many different species of butterfly! It was a beautiful experience and excellent fun when they decided to land on you! I could have stayed in there all day but at a cool 80 degrees, it wasn’t to be. Next on the itinerary was the EMP Museum, housed in the shy and retiring building you see above, designed by Frank O Gehry. It’s a museum for music, sci-fi and popular culture. As you can imagine, it’s pretty darn cool and I had been champing at the bit to visit! We had a great time exploring the Nirvana and Jimmy Hendrix exhibits. As a Nirvana fan, James was very impressed with the memorabilia on show. We then moved onto the exhibits for Sci Fi, Horror and Fantasy. There was a LOT of cool stuff to see, including The axe from the Shining, original costumes from Harry Potter and The Lion the Witch and the Wardrobe, as well as J.R.R Tolkein’s original hand-edited manuscript pages for The Hobbit and The Lord of the Rings! It’s fair to say I was *quite* happy here. My favorite exhibit was dedicated to ‘Women who Rock’ and featured a huge amount of artifacts, costumes and even Lady Gaga’s piano in order to pay homage to the women who have ‘propelled rock and roll into uncharted territories’. There were so many beautiful costumes on display from such greats as The Supremes, Tina Turner, Madonna and OMG TAYLOR SWIFT. It was so strange to see outfits worn by Britney Spears and Shakira compared to those worn by artists like Aretha Franklin and Ruth Brown. I know whose wardrobe I would rather own!